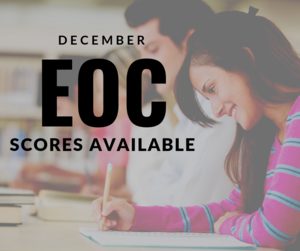 EOC scores are now available! Agency (TEA) is now providing digital versions of student results that are readily accessible to parents. Go to the Texas Assessment Management System (TAMS), which is available at www.texasassessment.com. Click "Log In To Student Portal". Click "Lookup Student Access Code." Enter your Student's LEGAL first name only, social security number (in the PEIMS ID box), and birthday and then click "Go" to get the Access Code. The Access Code will pop up. Click "Go" again. When you successfully login, you will see all of your student's test scores. You can click on any test to get a break down of how your student did in each area of the test, the number of questions they got correct, and the level of proficiency obtained. You can obtain your student's Confidential Student Report (CSR) by clicking the "Download PDF's" button on the top right of the page. If you have difficulty accessing this information or get an error and are unable to login for any reason (e.g., an incorrect or absent Social Security Number), please contact your student's campus for help with logging in and printing out a hard copy of the report. Click here to be taken to the Texas Assessment Management System website.